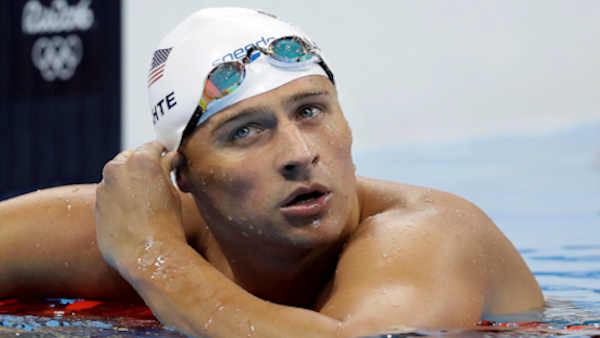 RIO DE JANEIRO -- US Olympic officials said Sunday Ryan Lochte and three other U.S. swimmers were robbed by people posing as armed police in Rio de Janeiro. A statement issued by U.S. Olympic Committee spokesperson Patrick Sandusky confirmed the incident happened early Sunday while swimmers Lochte, Gunnar Bentz, Jack Conger and Jimmy Feigen were headed for the Olympic Village. The statement read in part: "Their taxi was stopped by individuals posing as armed police officers who demanded the athletes' money and other personal belongings. All four athletes are safe and cooperating with authorities." The statement came after earlier reports of the incident denied claims the U.S. swimmers were robbed. USA Today and Fox Sports Australia first reported the news, citing Lochte's mother, Ileana Lochte. Lochte swam in two events at the Rio Games, winning gold in the 4x200-meter freestyle relay. Click here for more stories on the Olympics.